I got out the “real” camera to get a great little macro shot… I love my iphone camera, but sometimes it just doesn’t cut it. 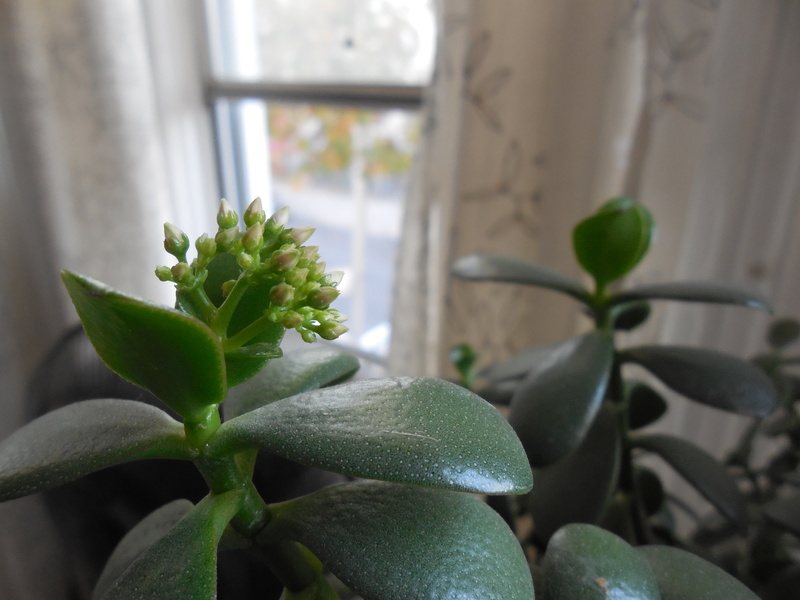 My jade tree has a blossom! The first year it bloomed I was scratching my head at it. 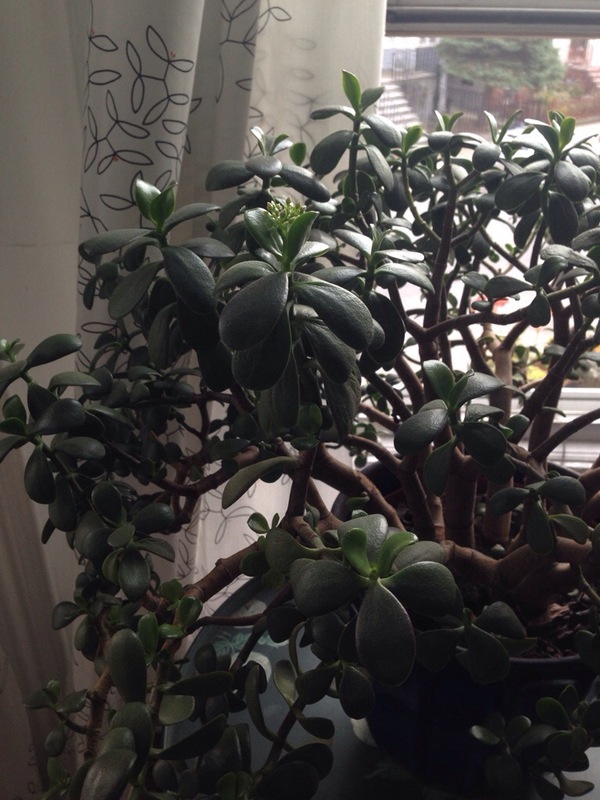 I had never seen a jade tree bloom and I was perplexed. It doesn’t happen often, and usually during the winter months but when the buds open they have the tiniest most delicate little white flowers on a little green stalk. She’s so pretty!